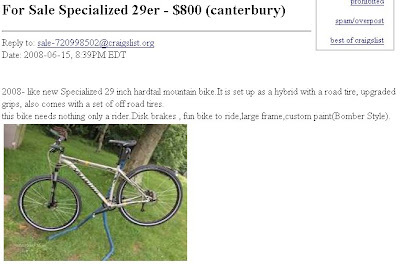 Here is a geared 29er from Specialized that I found on the Eastern Connecticut section of Craigslist. It's set up for road duty. Looks like it has a Rock Shox Tora fork on it. 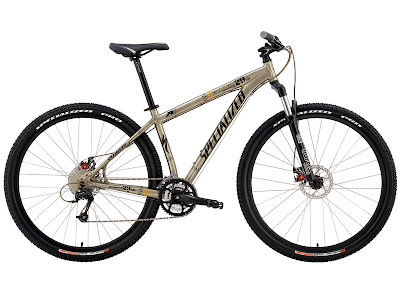 I found the bike on the Specialized website. The MSRP is $1050 so this is a good price when you are getting another set of tires for free. The only drawbacks are probably the fork, the brakes and the thin tires. In it's current configuration, this would make a great commuter if the front fork had a lock out.